I get chills thinking about the way time plays with our perception. This was very much on my mind while viewing The Dumb Girl of Portici (1916), which I saw this morning at SIFF Uptown Theater for the 43rd Seattle International Film Festival. Here is a story set in the 1600s, filmed over a century ago, now playing for a theater full of people with cell phones in their pockets. We were watching a tale of rebellion on a day when millions of people marched in protest against the government of the United States. Part of the fun of watching the archival films at this festival is wondering how a film that moves you from a distance of decades was received upon its release; that was very much on my mind today with current events deeply affecting my experience. 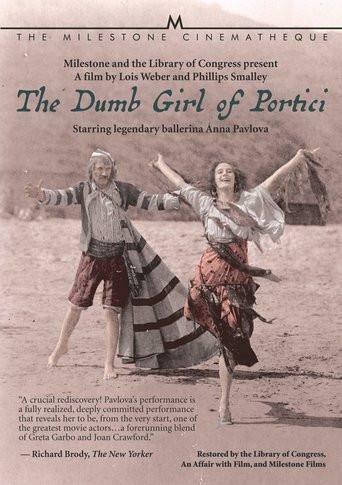 The Dumb Girl of Portici was director Lois Weber's most magnificent epic, the first film of its kind directed by a woman and the celebrated dancer Anna Pavlova's one moment of screen immortality. Based on a French opera, it tells a lovelorn story against the somewhat reality-based backdrop of Italian peasants fighting Spanish rule. Pavlova is Fenella, a mute resident of a fishermens' village in Naples, who is seduced and abandoned by the son of the Viceroy of Naples before he marries a Spanish princess. This drama is overwhelmed by the anger of the villagers at their oppression as they riot and attempt to defeat the Spaniards. 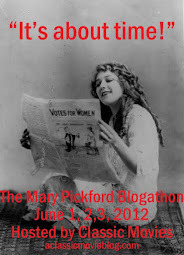 It is certainly amusing to watch a silent film in which the lead character is mute. Even the action as presented doesn't distinguish Fenella much from the rest of the villagers. Whatever the format or role, it isn't likely that Pavlova would have done well with dialogue anyway. Here she doesn't act so much as dance her role. She is able to communicate perfectly with movement. While Pavlova was not a film actress, her stage experience made her grand enough to avoid being overwhelmed by a massive, elaborate production. This is a film to see on as large a screen as possible, so that you can see the fanatical detail of the costumes and the sets. Weber makes full use of her talents for staging action, filming several scenes of rioting that should be a chaotic mess, but instead forge forward with great dramatic tension. In the midst of it all, Pavlova demands your attention, but not because she is meant to be a movie star; it's just that you know she can't be ignored. It seemed to be a mesmerizing experience for the completely silent audience. Looking so far into the past can have that effect on you. Dumb Girl had the kind of scratches and wear to be expected of a film of this age, but was uniformly watchable, with decent reproduction of the tinting. It was provided courtesy of Milestone Films, which will be releasing this film and Weber's Shoes on DVD/Blu-ray later this year.